As tensions in East Asia are on the rise, Japan’s Coast Guard is steadily increasing its capabilities. On April 22, the Japanese Coast Guard (JCG) announced that it has selected the Falcon 2000 Maritime Surveillance Aircraft (MSA) for its expanding operational fleet, according to a press release by Dassault Aviation. The Falcon 2000 MSA, based on the Falcon 2000 LXS business jet, has a range of 4000 nautical miles (7408 kilometers) and is developed for a flight crew of two plus two mission system operators (or four mission system operators in its enhanced configuration), IHS Jane’s Defence Weekly reports. It is equipped with a long-range multimode air-to-surface radar with dedicated maritime modes, a retractable electro-optic/infrared (EO/IR) sensor turret, multifunction work stations with automatic analysis functions, and a communications suite that includes satellite communications (SATCOM). According to the press release, the plane is “designed for a broad range of missions including maritime surveillance, piracy control, drug interdiction, fishery patrol, law enforcement, search and rescue, intelligence and reconnaissance.” It is worth pointing out that while it is technically possible to do so, the Japanese Coast Guard will not arm the aircraft. The deal also includes comprehensive maintenance support capabilities. The JCG has not yet announced how many of the new planes it will purchase, although some media reports suggest three. 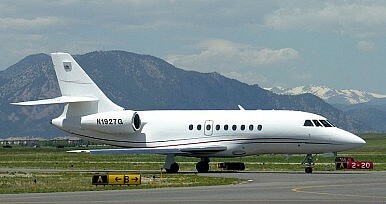 The JCG is already operating four business jets re-configured for maritime surveillance –two Dassault Falcon 900 and two Gulfstream V aircraft. According to IHS Jane’s Defence Weekly, the JCGs air armada consists of nine Bombardier 300 regional turboprops; nine Beechcraft King Air 350 turboprops; two Dassault Falcon 900 jets; four Saab 340 regional turboprops; one Cessna 206 piston-engine prop; five Airbus Super Puma helicopters; three Sikorsky S-76 helicopters; 12 Bell 212 helicopters; 18 Agusta A139 helicopters; five Bell 412 helicopters; and three Bell 206 helicopters.